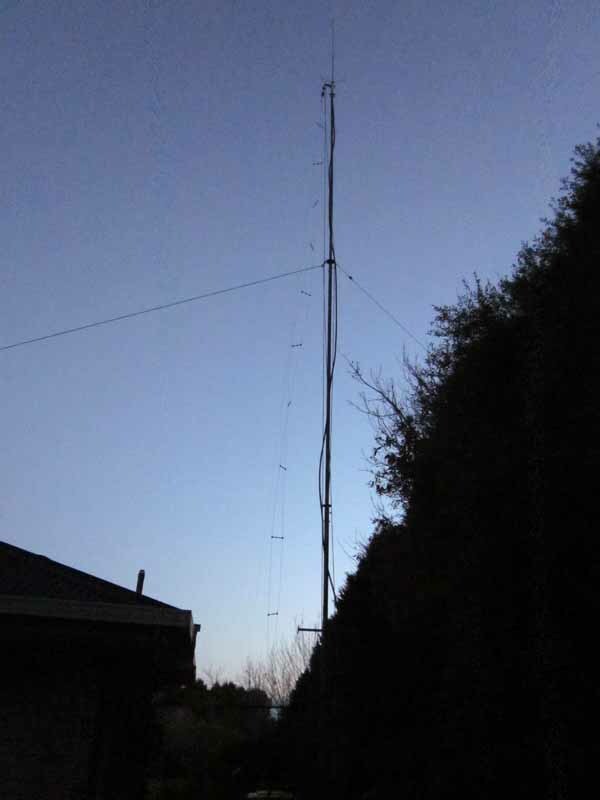 Above is a view of the steel mast with the Inverted V G5RV rigged from the top of the 11m mast using a halyard though a purchase on a small gibbet to offset the antenna and feed line from the mast. There are lateral guys at 7m height, and the left hand one is non-conductive synthetic fibre rope. Atop the mast is a 2m/70cm vertical. Details of the connections appear in the original article. Above is a close up of the detail of connection of the aluminium open wire feed line to a screw terminal on the balun. The wire is 5356 aluminium MIG wire, the screw and nuts are 304 stainless steel and the penny washers are 316 stainless steel. The wire and washers were liberally coated with marine grease before assembly, sufficient for most to squeeze out, and the excess wiped off. The purpose of the grease is to prevent ingress of oxygen (in air) and water, the essential ingredients of galvanic corrosion. 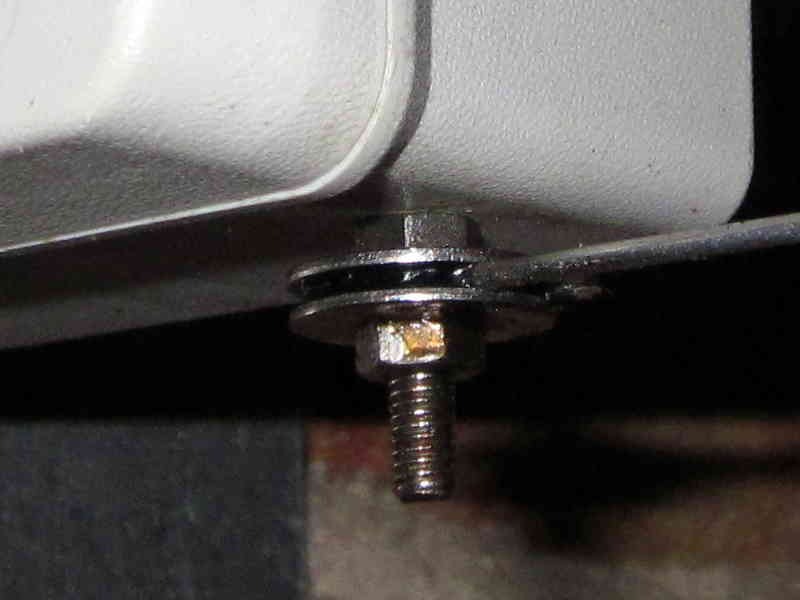 The resistance of the terminals was checked using a Kelvin low ohms meter from end of screw thread to wire (2cm from terminal), yielding 2.0mΩ. This is acceptably low and indicates excellent connection. Since the connection aloft uses the same protection scheme and the balun terminals showing no signs of degradation, inspection of the aloft terminals was deferred until a later annual inspection (and report). There is no sign of fatigue failure of the antenna or feed line wires, and the feed line spacers show no degradation and have not grown moss or lichens (a risk in these parts).